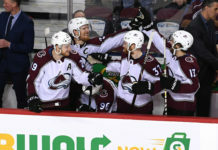 The Colorado Avalanche entered Tuesday night’s game having lost seven of their last ten games. The Columbus Blue Jackets were looking to end their own five-game losing streak. With both teams battling for the playoff positioning, the intensity showed from the beginning. 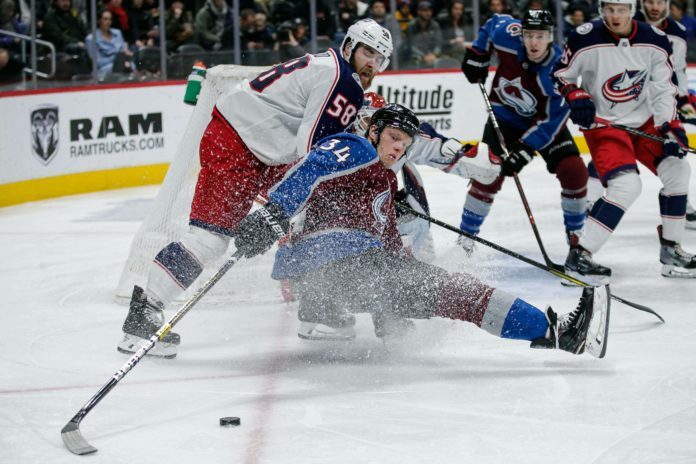 But it was Columbus’ third period scoring that made the difference as the Blue Jackets beat the Avalanche, 6-3. Columbus struck before most of the fans found their seats in the Pepsi Center, netting the first goal just 53 seconds into the game. Oliver Bjorkstrand beat Avalanche netminder Philipp Grubauer on a wraparound to give the Blue Jackets the early lead. 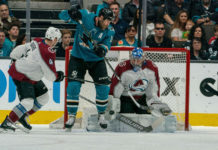 Both teams settled into the next half of the period, playing lockdown defense until Erik Johnson blasted a shot past Sergi Bobrovsky from the point tying the game, 1-1. Pierre-Luc Dubois broke the tie just over a minute later to give Columbus the lead again. But before the first intermission Nikita Zadorov tied the game again with a slap shot from the point. Fourteen minutes into the second period, Colorado again took the lead after Gabriel Bourque found Sam Girard on the break. But once again Columbus answered Cam Atkinson scored on the breakaway and knotted the score, 3-3, at the second intermission. Columbus dominated the start of the third period, outshooting the Avalanche 17-3 in the first 12 minutes of the period. With the momentum, the Blue Jackets added the next goal after Josh Anderson banged a rebound past Grubauer. Colorado would unsuccessfully challenge the goal for offsides, resulting in a delay of game penalty. The Blue Jackets added another on the ensuing power play, giving them a two-goal advantage. Pierre-Luc Dubis would add an empty net goal in the final minutes of the game. Colorado was outshot 19-4 in the final frame and 37-30 on the game. The Avalanche head on the road to face the defending Stanley Cup champions, Washington Capitals on Thursday. Puck drop is for 5 PM MST from Capital One Arena.